yundai India, India’s 2nd largest automobile maker is all set to launch their second car of the year 2015 – new Hyundai i20 Active. March 17 of 2015 is the national launch date for Hyundai i20 Active. The launch of Hyundai i20 is going to happen in New Delhi which is then going to be will be followed by launch in Mumbai and Bengaluru on 18th March 2015. Hyundai i20 Active is made in Germany. The design aspect of Hyundai i20 Active is done at Hyundai Motor’s Design Centre Europe in Russelsheim of Germany. Hyundai i20 Active is entirely based on the brand new generation of Hyundai i20 which is already on sale in India and Europe. The exteriors of Hyundai i20 Active would be boast of new plastic cladding, slid plats and roof rails while alloy wheel design is also modified as compared to those seen on Hyundai i20. At the rear, new bumper with circular reflectors and a silver skid plate will be evident. To draw maximum attention to its sporty appeal and to gear Hyundai i20 Active to tackle the uneven road conditions, ground clearance has been increased. Interiors is also expected to receive a number of updates like sportier seats, brand new infotainment system. There will be no changes seen in engines as the Hyundai i20 Active continues to be powered by the same engines as seen on the Hyundai Elite i20 which is present in India. Hyundai active i20 includes a 1.2 litre engine which is mated to a 5 speed manual transmission engine and a 1.4 litre U2 turbo diesel engine mated to a six speed manual transmission. 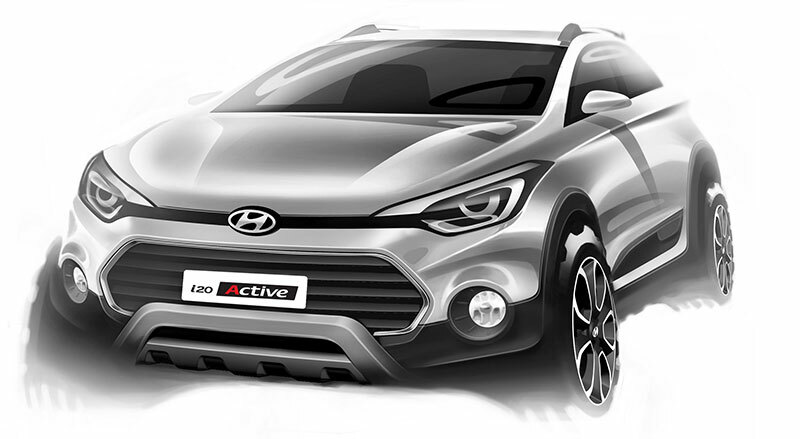 Hyundai i20 Active can be a potential rival for other brands like Fiat Avventura, Toyota Etios Cross, Volkswagen Cross Polo, the Hyundai i20 Active is expected to be priced at a premium over the regular i20 hatchback version. The price of Hyundai i20 Active is expected to be in the range of 6 Lakhs to 9 Lakhs.